Are you having trouble with pests in or around your home? Are you tired using the same products that only get rid of pests temporarily? Do you live in or near the Southampton, Long Island area? If so, then Twin Forks Pest Control is the answer that you are looking for! We know what nuisance pests can be, whether there are carpenter ants roaming around on your kitchen counter or a wasp’s nest nearby, Twin Forks Pest Control can keep them away from your home for good. 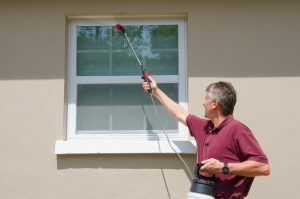 Whether you live right off of Montauk Highway or down near Shinnecock East County Park, Twin Forks Pest Control has been offering premium service in Southampton, Long Island for almost 20 years. At Twin Forks Pest Control, our goal is to get rid of your pest problems and keep them away from your home for good. Our pest control protection plans allow for professional service being provided for your home to ensure that bugs and rodents won’t come back. We use comprehensive testing to test our products so that they can safely and effectively get rid of rodents, bugs, and pests as quickly as possible without being harmful to you or the environment. If you want to learn more about pest removal services from Twin Forks Pest Control for your Southampton home or business, or to get a free estimate, fill out our contact form below or give us a call at (631) 298-0500. We look forward to hearing from you!